One of my resolutions is to blog MWF. While I did write a blog post last Friday, it was over at Topaz Mommy. So technically I did blog but because it wasn't over here, I feel like I missed a day! It's so strange that I'm killing off Topaz Mommy. In my head, it's actually already dead. I just need to do two sponsored posts there that's why I still need to update it. And yet in my heart, it's still alive. I mean, it's been a part of me for six years (my first post there was Dec 28, 2009, when I announced my pregnancy). How does one say good-bye??? I love everything about this design that Fancy Girl Designs and I worked on. Has anyone here ever killed/abandoned/deleted a blog? How did that go? Did you feel all the stress I'm feeling now? I've actually killed a blog, my beauty blog, Beauty For A Living. 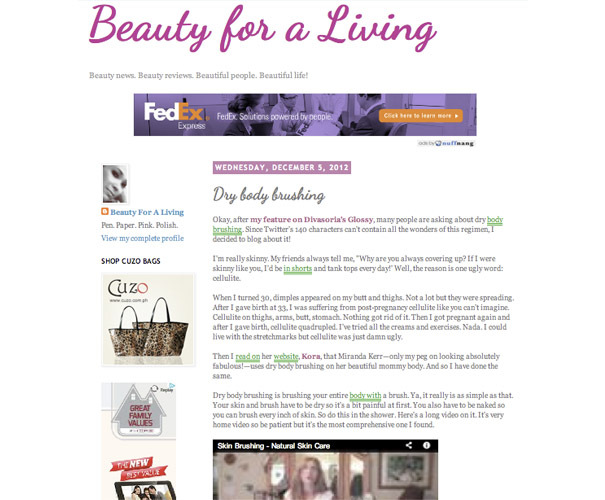 But since I never really was into beauty blogging, that didn't feel horrible. In fact, it was a relief. Topaz Mommy is such a different story! This was my most popular post on the now-dead beauty blog. I'm not going to annihilate Topaz Mommy completely. I'll still keep the domain. 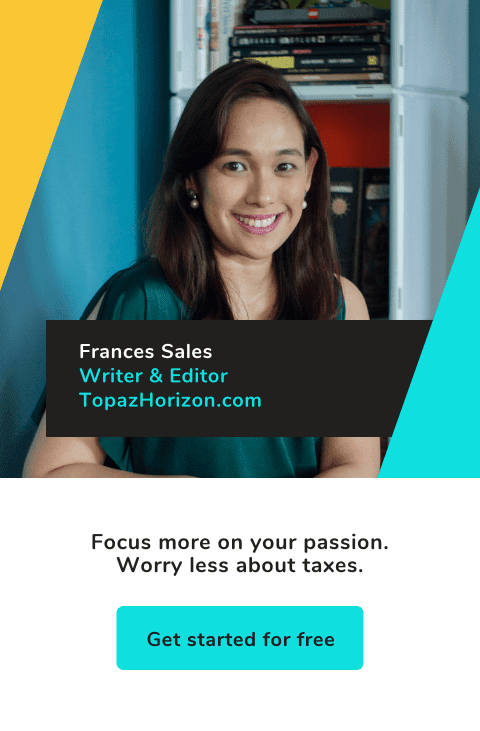 Then Jennyfer Ang Tan will move all six years of mommy blog content into Topaz Horizon slowly and merge the two blogs so that all the posts will be chronologically arranged. I don't know how she's going to manage that! 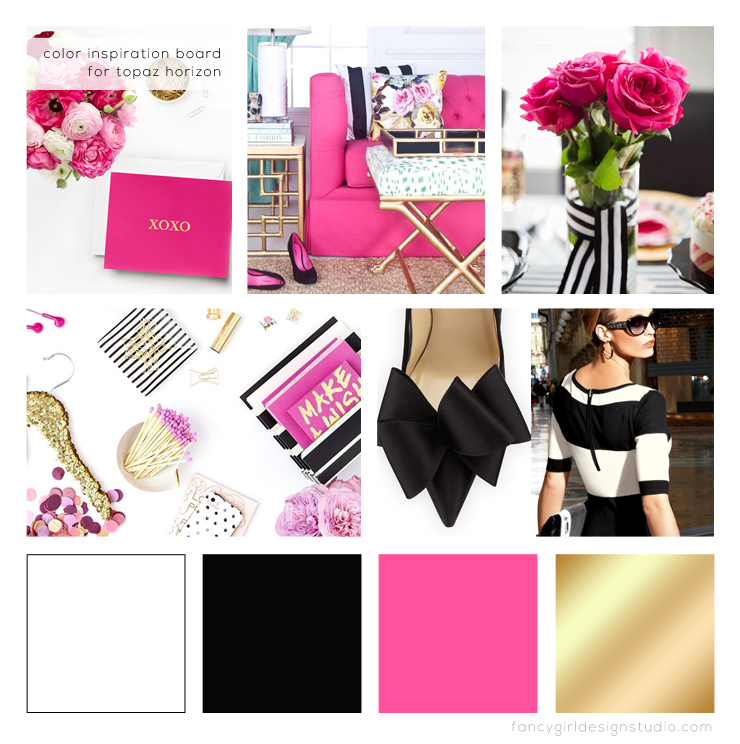 Patricia Allix Villa of Fancy Girl Designs is coming up with a new design (see the inspiration board below) and I'm so excited about that! Lastly, I'm moving everything to Wordpress and Martine de Luna is overseeing my migration. That's a great team helping Topaz Horizon become a bigger success! I also decided to move to Wordpress because everyone's been telling me that that's best for professional blogs. So okay, I'll do it. But, wow, I've been on Blogger for 10 years and I'm really freaking out about this move. I really don't want to do it!!! I'm really bad about moving. I've moved homes six times in my life and each move, I'm a mess. Like, I grieve for about two weeks. 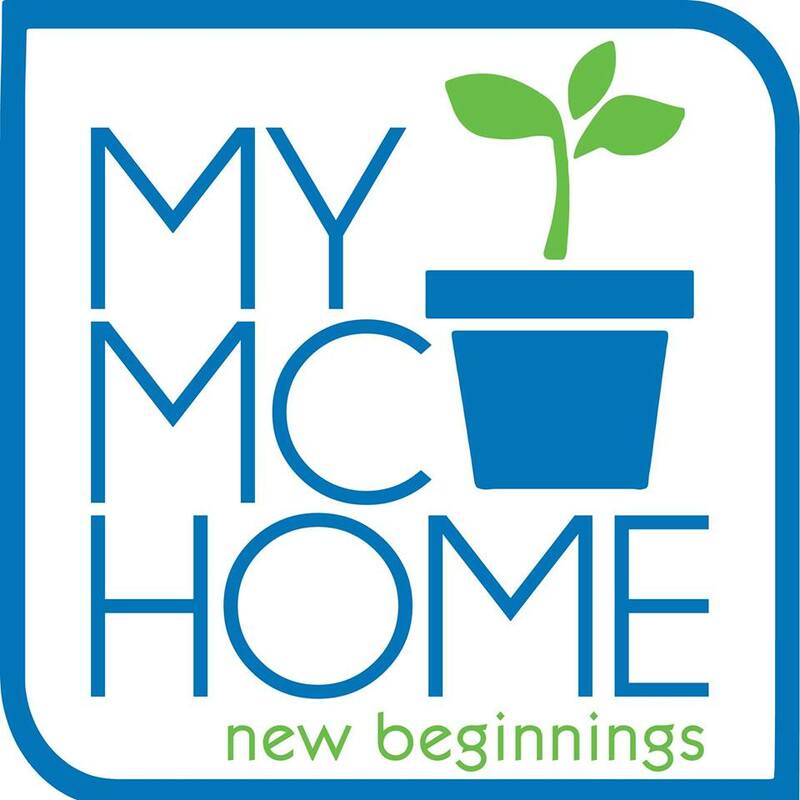 So I'm excited about the blog move. And I'm dreading the move, too. Promise me you'll be there while I go through these growing pains, dear Loyal Readers!!! I'm so excited for the upcoming changes on your blog. With the three creative and talented ladies on your side, I'm sure the move will be much easier. I've killed two blogs already, one is an online journal about my kids running on Blogger Platform and the other one is a self-hosted WordPress travel blog. It's kinda heart-breaking but I have to let go. Yes everyone tells me Wordpress is the way to go but I'm too entrenched in Blogger. My first blog was on Tabulas and I didn't kill it, it went down on its own. I blogged there for eight years. Then I made another blog in 2013 and that still gets a lot of hits till now because of a viral post I made, but I abandoned it because Blogger wouldn't approve my Adsense. Then I tried Wordpress for a second because I wanted a fresh start, then I found out it wouldn't accept ads unless it's on wordpress.org! So after one post I moved back to Blogger. I honestly kind of burned out with blogging. And this was after I had so much plans for my new blog. I guess it's also because of what I'm going through personally, that's why I decided to stop blogging for a while. But if I'm going to come back, I'll do it with professionals like you! I agree that migrating Topaz Horizon to Wordpress is a smart move for established bloggers like you, but I can't help but feel nostalgic all of a sudden! Blogspot will always be our first love, I think. Sounds like a plan! :) Alvin finally—after years of resisting!—convinced me to move to Wordpress in 2014, at first it was a bit of a learning curve, but eventually got the hang of it (and still learning as each theme comes with certain nuances in settings). In fact, I believe I've enjoyed it a lot that I've tinkered with the blog quite a bit since. It's just the uploading of posts that still needs work (dami kong drafts! ), haha. Anyway, you'll do great I'm sure!!! I can't believe I JUST read this. Hahahaha! Is blogging even still relevant this 2016?